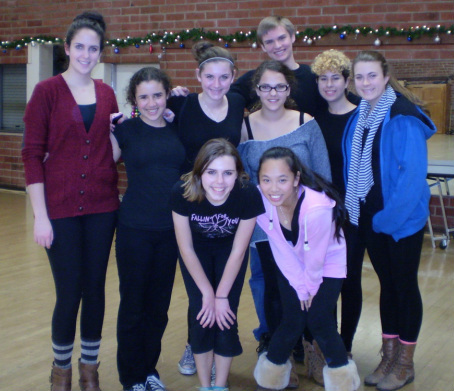 Claire Jungleib, a GBT alum and current BFA student at DePaul University, taught an acting masterclass for members of the community on December 9th. Claire (far left), with her students. Congratulations to Claire on her first, and very successful, master class and thank you to everyone who came! While yesterday’s class has left us all with aching muscles after our view pointing exercises, we all came away with some really exciting new things to think about and some tools that we hope to use in the future.